For Castlevania fans, the Kickstarter by Materia Collective for Resurrection of the Night: Alucard’s Elegy is now up. The orchestra is expected to by on vinyl as well as CD. The plan is to introduce even more tracks to the present thirteen song line-up. Some of the songs will also get a live upgrade. It will be produced by Wayne Strange. The live orchestra is licensed by Loudr and rights holders such as Konami will receive royalties. For those who back the project, they can get a digital copy for as little as $15. The campaign-exlusive vinyl will be available to those who back $75 to the project. Awards also include meeting the team at MAGfest, signed pages of the score, or even co-produce a track. The Kickstarter has two pledge goals. The first goal of $30,000 is for the choral recording. A pledge of $100,000 will enable the ability for a full orchestral recording. As of this writing, there was already $5,631 donated. Materia Collective also did Hero of Time, a tribute to The Legend of Zelda: Ocarina of Time. It had 74 minutes of symphonic music from the Legend of Zelda series. It was also on Kickstarter and was fulfilled on-time earlier this year. SEATTLE – November 1, 2017 – Materia Collective is thrilled to announce Resurrection of the Night: Alucard’s Elegy, an ambitious project that aims to record all-new classical arrangements from the beloved Castlevania: Symphony of the Night soundtrack with live orchestra and choir. 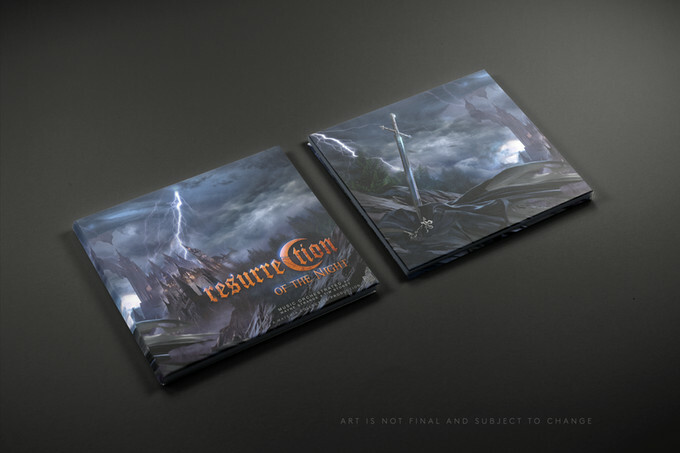 The release is planned for digital, CD, and vinyl releases, and follows on the heels of Materia Collective’s hugely successful tribute to The Legend of Zelda: Ocarina of Time titled Hero of Time, which featured 74-minutes of symphonic Zelda music and was fulfilled to backers on-time earlier this year. Resurrection of the Night: Alucard’s Elegy will be the ultimate tribute to Micharu Yamane’s fan-favorite Castlevania soundtrack and is licensed through Loudr with royalties being paid to Konami and other rights holders. It’s now on Kickstarter. Fans can consider this week’s release of the 13-track Resurrection of the Night album to be a teaser for what’s to come with this Kickstarter campaign. 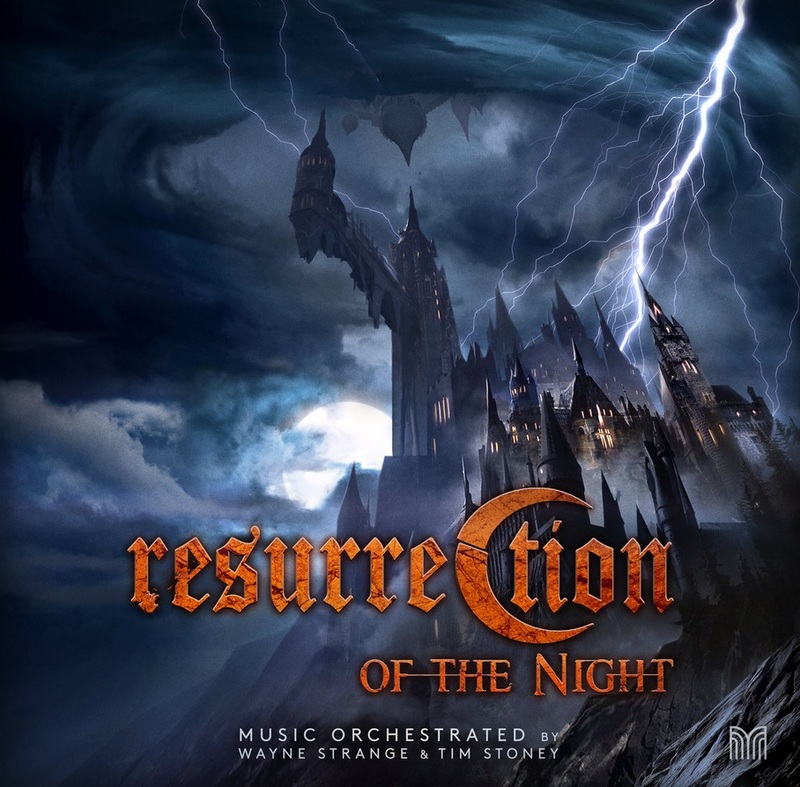 Additional material will be arranged and recorded live with orchestra and choir, and several of the tracks featured on Resurrection of the Night will also get a live upgrade. Backers will get a digital copy of the album for as little as $15 USD, while the campaign-exclusive vinyl will be available at the $75 USD tier. Backers who wish to pledge even more can get signed pages from the concert score, meet the team for dinner at MAGFest, or even pick and co-produce a track on the album. The Resurrection of the Night: Alucard’s Elegy Kickstarter campaign will run from October 30, 2017 through November 26, 2017 and aims to raise $30,000 USD for the choral recording, and $100,000 USD for a full orchestral recording. Wayne Strange is an orchestrator, composer, and a fierce Castlevania fan from the Philadelphia area currently working for Video Games Live. He’s provided the scores for several of their cues, including Super Mario World, Phoenix Wright: Ace Attorney, and Cave Story. In the past he was an additional arranger for The Legend of Zelda: Symphony of the Goddesses and BT Electronic Opus. He also provided additional orchestrations and score prep for Star Trek: The Video Game and God of War: Ascension. Early on he studied voice performance and music theory at Westminster Choir College in Princeton, NJ and later game design at Camden County College. One of the very first games he ever played was Castlevania 2: Simon’s Quest. His personal favorites remain Rondo of Blood and Symphony of the Night. Tim Stoney is a British composer currently writing music for film and videogames alongside other projects such a Resurrection of the Night. His most recent track placement in a trailer was for Assassin’s Creed: Origins – Order of the Ancients. He has worked in collaboration with Wayne Strange on Video Games Live cues, and also provided additional resources and arrangements for The Legend of Zelda: Symphony of the Goddesses and BT Electronic Opus.